Novak Djokovic’s coach Marian Vajda is hoping the Serb can ride the wave of momentum from his “surprise” Wimbledon victory into the North American hard-court swing that will culminate with the US Open in September. Djokovic ended a two-year Grand Slam title drought with success at SW19 earlier this month, a win that gave him a 13th major crown and a place among the world’s top-10 once again. With his elbow problems and self-doubt well behind him, Djokovic is now getting ready for his favourite surface and a return to the US Open after missing it through injury last season. New York is where Djokovic made his first Grand Slam final – he lost the 2007 final to Roger Federer – and it’s where he has lifted the trophy twice from seven final reached. A total of 51 of his 69 career titles have come on hard courts, and his winning percentage on the surface (84%) is his best compared to clay or grass. After claiming a fourth Wimbledon crown, Djokovic was already looking ahead to the US Open when addressing the gathered media at the All England Club, although he is keeping his expectations in check. “I understand that people are questioning whether I can consistently play on this level. Trust me, I am, too,” Djokovic said with a smile. “At the same time I can’t look too far on the road because I have to embrace and cherish this kind of accomplishment. If you asked me a month and a half ago whether I think I can win Wimbledon, part of me yes, I hope, but maybe I wasn’t that sure at that time of my level of tennis. “This is obviously very pleasing and satisfying to be able to play the way I played in the last couple of tournaments, in Queens and Wimbledon. This is going to be a huge confidence boost and springboard for whatever is coming up. 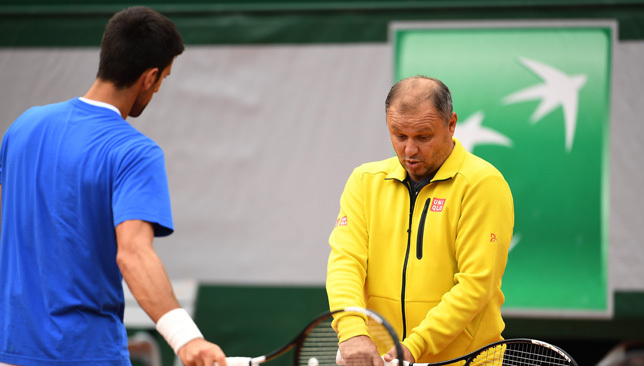 Vajda is also cautious when discussing Djokovic’s New York aspirations but the Slovakian coach is pleased with the progress his pupil has made, especially in the mental department. “Definitely he’s more relaxed. But he’s also starting to enjoy it and that’s the most important moment. Once you start enjoying it, and he lost already the doubts and fears and whatever, he’s able to enjoy, and his best season can start. He just has to plan better, he has his family and everything but I think he will do good now,” predicts Vajda. With Rafael Nadal and Federer firmly positioned at the top of the rankings, and Djokovic back at No. 10 with plenty of opportunities to go higher now that he has no points to defend until the end of the year, it’s possible that the trio can finish the season as the top-three in the standings. Djokovic’s resurrection during the grass season means the fight for the US Open trophy will be all the more exciting. “It’s amazing that those three guys got back like this,” said Vajda. “Three guys are holding 50 out of 60 Grand Slams, holding the trophies already for 15 years, this is amazing. History beckons: For Serena Williams. A stellar line-up will descend on San Jose next week for the women’s kick-off of the US Open Series with Serena and Venus Williams, Garbine Muguruza, defending champion Madison Keys, and Victoria Azarenka all confirmed for the Mubadala Silicon Valley Classic (July 30 – August 5). The Series will then continue with stops in Montreal, Cincinnati and New Haven before all players head to the final Grand Slam of the season in New York. As the ladies shift their focus to North America, here are some burning questions we’d like answered this US (and Canada) summer stretch. 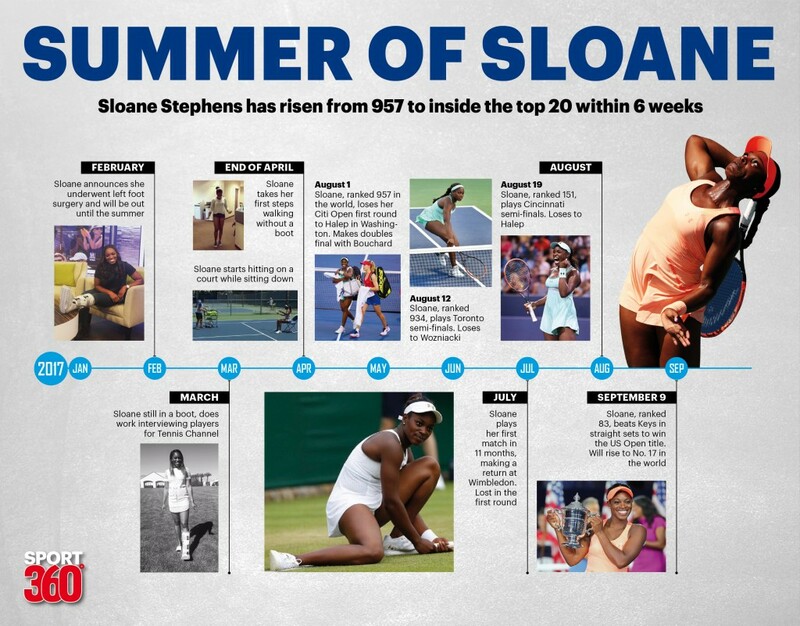 CAN SLOANE DELIVER ANOTHER SUPER SUMMER? Last year, Sloane Stephens caught fire on the North American hard courts. 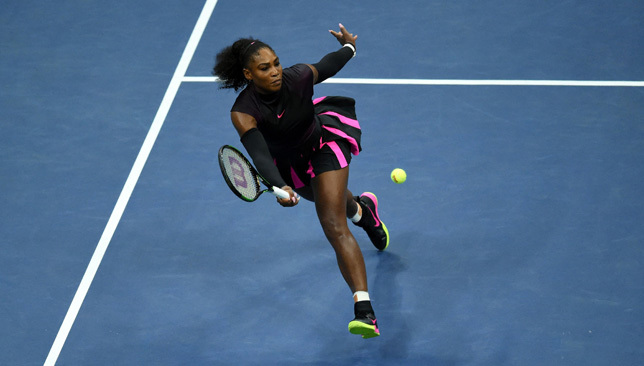 The Florida-native was returning from an 11-month injury hiatus and pulled off one of the most impressive comebacks in sports history, making the semis in Toronto and Cincinnati before winning her first Grand Slam at the US Open. Her results at the majors have oscillated ever since, with a runner-up showing at Roland Garros sandwiched between first-round exits in Melbourne and Wimbledon. On the WTA tour, a title run in Miami felt like it came out of nowhere and she now enters the North America hard-court stretch ranked No. 3 in the world. With 2,700 points to defend over the next six weeks, Stephens will be facing a new kind of pressure when she returns to where it all began for her last season. She’s scheduled to play Washington, Montreal and Cincinnati before her title defence at Flushing Meadows. With Serena Williams back in the mix, Madison Keys hoping to improve on her runner-up showing at the Open from last year and Venus Williams out of the top-10, looking to climb back in, America will have a host of home favourites to support this upcoming stretch, and perhaps Stephens can benefit from the shared attention. WILL SERENA GRAB HER FIRST TITLE AS A MOM? As Serena said in Wimbledon after losing the final to Angelique Kerber, she’s “literally just getting started”. Targeting an all-time record 24th Grand Slam in New York, the 36-year-old is just four tournaments into her return from maternity leave and is already up to 27 in the rankings. Serena is down to play San Jose, Montreal and Cincinnati before the Open, which is her heaviest pre-New York schedule since 2014. Whether she’ll play all three is another matter but considering her run to the Wimbledon final earlier this month and how motivated she sounded there, Serena can expect to make a splash on home soil this summer. Tatjana Maria became the first mother to win a WTA title in 2018 when she triumphed in Mallorca in June. New mom Mandy Minella came close but was runner-up in Gstaad earlier this month. Can Serena claim her first trophy as a mother in the next few weeks? It won’t be a surprise if she does. WILL THE US OPEN CONSIDER SEEDING AZARENKA? Wimbledon is typically the only major that changes the seedings at the tournament’s own discretion and they gave Serena a No. 25 seed spot last month, despite her being ranked 181 at the time. Two-time Grand Slam champion Victoria Azarenka was not given the same privilege when she returned from her maternity leave and the Belarusian is still building her ranking up. Since her comeback 13 months ago, Azarenka has had to spend some time away from the tour due to a custody dispute with the father of her son. As a two-time finalist at the US Open, will the tournament consider giving the 110th-ranked Azarenka a seeding position? First, she’ll need a wildcard to play the main draw. CAN SHARAPOVA BECOME A MAJOR THREAT ONCE MORE? World No. 22 Maria Sharapova had a strong clay season, making the quarters in Madrid, semis in Rome and quarters at Roland Garros but she suffered a shock first-round exit at Wimbledon, falling to world No. 132 Vitalia Diatchenko despite leading her fellow Russian in both the second and third sets. Sharapova has withdrawn from San Jose – the ninth tournament she has pulled out of since her return from her doping ban in April last year – and is expected to play Montreal and Cincinnati before the Open, where she reached the fourth round in 2017. She is 8-4 at the majors since she came back to the tour and is still searching for a big title to reestablish herself among the world’s best. Here’s hoping that vacation in Positano refreshes her for this summer hard-court swing. HOW WILL HALEP REBOUND FROM WIMBLEDON DISAPPOINTMENT? After her third-round loss to Hsieh Su-Wei at Wimbledon, world No. 1 Simona Halep told reporters that she played an “unprofessional” match and was disappointed by her performance. Now that she’s had enough time to digest her French Open title success, it’ll be interesting to see how Halep reacts to that breakthrough, followed by that shock in Wimbledon. With nearly 1,000 points to defend, and many players gunning for her No. 1 spot, the pressure will once again fall on the Romanian’s shoulders. WILL THE NO. 1 RANKING SWAP HANDS AGAIN? Only 2,551 points separate the top five players in the WTA rankings, with a strong chasing pack of Caroline Wozniacki, Stephens, Kerber and Elina Svitolina all breathing down Halep’s neck. The fact that Halep lost in the first round at the US Open last year will help her though in her quest to stay on top. WILL ANGIE HANDLE THINGS BETTER? We’ve all seen how Kerber rose to the top in 2016 in stunning fashion, and how she struggled the following season. Now with a third major under her belt thanks to an impressive Wimbledon run, will the German be able to handle the attention that comes with great success better than last year? She certainly sounded more confident and comfortable under the spotlight when discussing her maiden title triumph at SW19. We’ll see how she performs this upcoming period. WILL THE 21-AND-UNDERS PLEASE STAND UP? Quarters on the Parisian clay and the lawns of SW19, Daria Kasatkina will be looking to complete a hat-trick of last-eight appearances at the majors but this time on the hard-courts of New York. The 21-year-old Russian has been showcasing her versatility across all surfaces and has contested the second-most number of tour-level matches this season, winning 31 out of 48 clashes. Ranked 13 in the world, Kasatkina is on the cusp of the top-10 and has already proven her hard-court mettle this year, making finals in Dubai and Indian Wells. Fellow 21-year-old Jelena Ostapenko blasted her way to the semi-finals of Wimbledon earlier this month and seems back on track after seeing her French Open title defence end at the very first hurdle in May. The US Open is Ostapenko’s worst major (she has a 50 per cent winning record there) but this will be just her fourth appearance. Japanese 20-year-old Naomi Osaka returns to the United States after stealing the limelight in March, winning Indian Wells then upsetting Serena in Miami. She’s made the third round on her only two previous showings at the Open and is already rising in popularity, with GQ recently describing her as the “coolest thing in tennis”. Watch out for the world No. 17 these next few weeks. Other 21-and-under players to watch include Switzerland’s Belinda Bencic and 19-year-old American Sofia Kenin, who just won a $60k title in Berkeley to rise to hit a career-high ranking of 64. US summer beckons: For Novak Djokovic. The US Open Series is upon us with men’s action already underway in Atlanta this week, and the women kicking off proceedings in San Jose on Monday. Comprised of seven tournaments taking place in North America in the build-up to the US Open, the series is in its 15th season. In the past, players who performed well in these events and accumulated the most points on the series leaderboard were entitled to bonus prize money if they won the US Open. That initiative was scrapped by the USTA last year though and the series is now more of a branding exercise than anything else, and is used to offer centralised TV coverage within the United States on ESPN platforms. 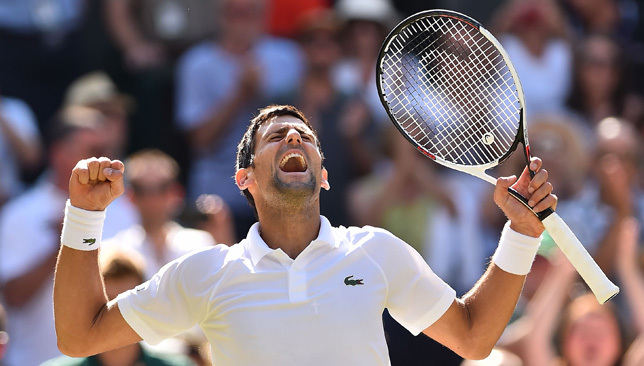 With momentum on his side thanks to his title run at Wimbledon, Novak Djokovic will be looking to keep things going on the North American hard courts. The Serb broke back into the top-10 after capturing a 13th major crown at the All England Club and has zero points to defend until the end of the year, having missed the last six months of last season with an elbow injury. The 31-year-old is currently ranked No. 10 with 3,355 points. He is scheduled to play the Rogers Cup in Toronto, the Western and Southern Open in Cincinnati and the US Open in New York. While he is nearly 6,000 points behind world No. 1 Rafael Nadal in the rankings, only 2,310 points separate Djokovic from third-ranked Alexander Zverev. We can expect another surge up the standings for the Serb over the next seven weeks. After briefly returning to action during the grass-court season, contesting three matches across Queens and Eastbourne, Andy Murray opted out of playing Wimbledon and is now getting ready to make a proper comeback on hard courts. His first event will be the Citi Open in Washington DC, and has also accepted a wildcard into the Rogers Cup in Toronto. Murray, who joked about his current position of No. 838 in the world by posting a screenshot of the rankings on his Instagram on Wednesday, along with the hash-tag ‘proud’, will be keen to put behind him the hip injury that kept him out of the game for nearly a year and required surgery last January. Judging from the beach workouts he has been sharing on social media, the Brit appears to be moving well and can fancy his chances in making major moves up the rankings, with no points to defend for the next 11 months. Roger Federer announced on Tuesday that he will be skipping Toronto as he continues to get more and more meticulous with his schedule. After returning to the top ranking for the first time in six years last February, Federer has slipped to No. 2 and the gap between him and Nadal has widened to 2,230 points. The Swiss, who turns 37 in two weeks, skipped the clay season this year, and has played just seven tournaments so far in 2018. He’ll be gunning for a record-extending 21st Grand Slam at the US Open next month, but won’t have much play under his belt in the build-up, with Cincinnati likely to be the only event he contests prior to New York. Federer is 29-4 this season, with his most recent outing being a five-set defeat (after leading by two-sets-to-love) to Kevin Anderson in the Wimbledon quarter-finals earlier this month. He also fell to Borna Coric in three sets in the Halle final. Nadal, the reigning US Open champion, began his preparations for the America summer by hitting the practice courts in Mallorca on Tuesday after a well-deserved break in the Balearic Islands. Toronto will be the Spaniard’s first hard-court event since the Australian Open last January, where he retired with a psoas injury during his quarter-final against Marin Cilic. Nadal has lost just three matches all season – including a tight five-setter against Djokovic in the Wimbledon semi-finals – and will be a force to be reckoned with this hard-court swing. Down to No. 6 in the rankings after starting the year at No. 3, Grigor Dimitrov is having a mediocre 2018 and has a title to defend in Cincinnati in August. The Bulgarian is an indifferent 19-13 win-loss this season and is currently No. 15 in the Race to London. He will lose 1,500 points if he doesn’t manage to make the top-eight and qualify for the season finale in London. If he plans on picking up the pace, now will be the perfect time to do so. Alexander Zverev has won a tour-leading 36 matches this season so far and added a third Masters 1000 crown to his resume with victory in Madrid in May. He reached his first-ever Grand Slam quarter-final at the French Open shortly after but had a forgettable grass-court stretch, with an opening-round loss to Borna Coric in Halle and a third-round Wimbledon exit to Ernests Gulbis, while suffering from a stomach virus. The 21-year-old German is ranked No. 3 in the world and is the defending champion in Toronto. He had no issues handling his Rome title defence earlier this year, as he reached the final before losing to clay monster Nadal and will need more of the same in Canada next month. He’s still young, but with expectations high, Zverev will be searching for that first big Grand Slam result to go with his ATP tour achievements. Top American John Isner is fresh off a semi-final showing at Wimbledon which has taken him back up to No. 9 in the world. In the build-up to last year’s US Open, Isner won the title in Atlanta, and made semis in Cincinnati, but suffered a third-round exit to Mischa Zverev at the Open. The 33-year-old has made the US Open quarter-finals just once in his career, in 2011, and will be looking to change that this time around. With a first Masters 1000 title triumph achieved in Miami earlier this year, Isner is improving with age and will be the main American to watch this upcoming stretch. His compatriot, 20-year-old Frances Tiafoe became the youngest American ATP title winner since 2002 when he won in Delray Beach in February and the world No. 42 will also have the home crowd watching closely these next few weeks. Tiafoe’s last two US Open appearances were five-set opening-round defeats to Federer last year, and Isner in 2016. He’ll no doubt be hoping for a better draw this year. Back-to-back titles in Acapulco and Indian Wells, semis in Miami and Roland Garros, and quarter-finals in Wimbledon – Juan Martin del Potro’s 2018 is going smoothly and he enters this US summer ranked No. 4 and ready to roll. The Argentine has the third-highest winning percentage on tour this season (80%) behind just Nadal and Federer. The 2009 US Open champion has a residence in Miami and considers the United States his second home. Some of his best results were posted there and he’ll be one of the top contenders in New York if his body holds up. Marin Cilic and Kevin Anderson are two players with incredible credentials and huge games no one likes to face. Between them, they’ve made four finals in the last five majors and are expected to shine on the North American hard-courts this summer. Discount them at your own peril! Australian Open semi-finalist Chung Hyeon is back from a 10-week right ankle injury-forced hiatus in Atlanta while Stan Wawrinka will be looking to resume his comeback from knee woes that required two surgeries last August and kept him out of action for six months in 2017, and another three months this season. 19-year-olds Denis Shapovalov, Stefanos Tsitsipas and Alex de Minaur have all caught the attention of the masses over the past 12 months or so. Shapovalov will have some pressure on his shoulders when he returns to his home tournament in Canada, where he made a stunning run to the semis last year, taking out Del Potro and Nadal along the way. He made the fourth round at the US Open shortly after. Tsitsipas is fresh off of a fourth-round appearance at Wimbledon, while De Minaur lost to Nadal in the third round there, and has made noise during the Australian summer early this year.